Is this a 10cc reunion? Well, sort of.... Former band member and legendary director, Kevin Godley, has created two new videos for Graham Gouldman's touring version of 10cc. This is not the first time the two founding band members have collaborated. 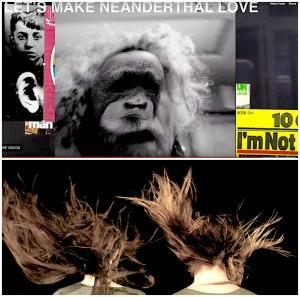 Godley and Gouldman created some fascinating new music back in 2006 under the guise GG/06, in which the track used for one of the videos “Son of Man” was created. In 2006, for the first time in over three decades original 10cc members Godley and Gouldman reunited to record new music. Best known for such classic 10cc hits as “Rubber Bullets,” “I'm Not In Love” and “The Dean & I,” as well as Godley and Creme's hit “Cry,” Godley and Gouldman recorded six new download-only songs which received rave reviews from fans and critics alike worldwide! The music has recently been released on a limited edition CD only available at 10cc shows! Kevin Godley, who has directed some of the most successful music videos in rock and roll for such artists as Peter Gabriel, Duran Duran, U2, Herbie Hancock, Hozier, Elbow, The Beatles, Paul McCartney and The Police to name just a few, graces all six tracks with his tremendous voice - arguably one of the great vocalists in music today! “I'm Not In Love” was written by band members Eric Stewart and Graham Gouldman and is known for its innovative and distinctive backing track, composed mostly of the band's multi-tracked vocals. Released in the UK in May 1975 as the second single from the band's third album The Original Soundtrack, it became the second of the group's three number-one singles in the UK between 1973 and 1978, topping the UK singles chart for two weeks. The song was also the band's breakthrough hit worldwide, reaching number one in Ireland and Canada and number two on the Billboard Hot 100 in the US, as well as reaching the top 10 in Australia, New Zealand and several European countries. “I'm Not In Love” was originally conceived as a bossa nova song played on guitars, but Kevin Godley and Lol Creme disliked the track and it was abandoned. However, after hearing members of their staff continue to sing the melody around their studio, Stewart persuaded the group to give the song another chance, to which Godley replied that for the song to work it needed to be radically changed, and suggested that the band should try and create a new version using just voices. Along with the two new videos, Kevin Godley created and starred in a previous innovative video for the song “Somewhere In Hollywood” which 10cc have used in concert during the past couple of years. Watch the video for “Somewhere In Hollywood”: http://www.kevin-godley.com/new-page. 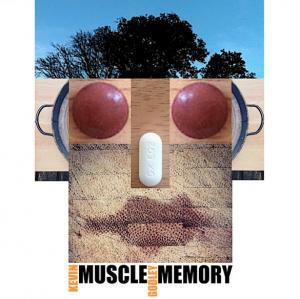 In other news, Kevin Godley recently started recording his highly anticipated new solo album Muscle Memory. What makes this album special, along with being his very first solo album, is that it will be comprised of collaborations between Kevin and a cast of musicians he has only met via email or Skype, who have submitted instrumental tracks that he has chosen to turn into songs. Kevin is also in the early stages of pre-production to direct his first feature film, The Gate, based on Orson Welles' adventures in Ireland circa 1931.